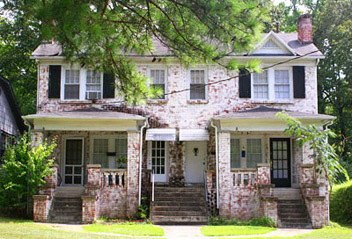 The first apartments constructed within the city of Homewood, Manhattan apartments are quaint and charming. This four-unit building is conveniently located to local churches and shopping. You are within walking distance to Homewood Park. These apartments provide easy access to Hwy 31, I-65, Samford University, UAB, Brookwood Village, and more.